Whatever the season, no matter the weather, there’s fun to be had at the great water parks and aquatic centers of Maryland. 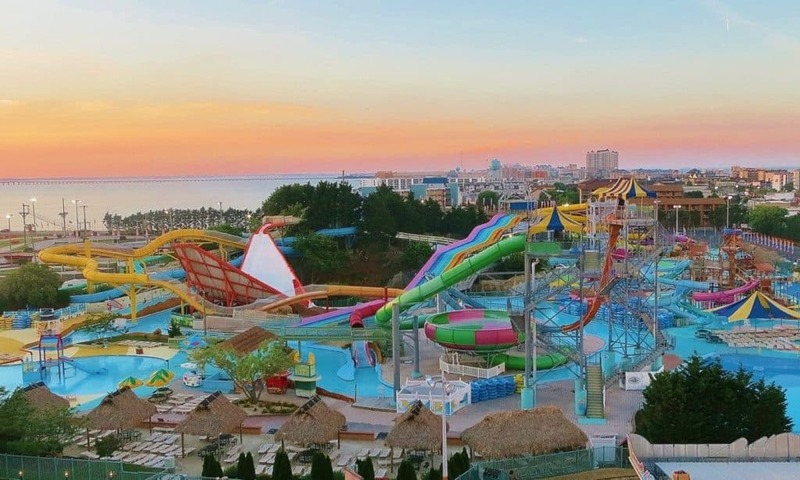 The summer months feature some of the best outdoor waterparks complete with heart pounding, raging rides and slides as well as huge, splashing wave pools, quiet lazy rivers, and exciting kiddie areas. Indoor the parks are just as fine and offer all the riding, sliding, wet, wild fun you can expect to have. Whether you’re taking the family out for the day or planning a vacation, be sure you hit at least one of these great parks! Splash Mountain Water Park is an absolute must visit for all water lovers. The park is HUGE and has some very unique rides, slides, pools, and kiddie areas. Adrenaline lovers will enjoy the huge variety of slides. Don’t miss the one of a kind Aqualoop. The slide has a three hundred and sixty degree loop that you’ll go rushing around after plummeting through a trap door. Rush down the four hundred and eighty feet of twists and turns. Equally as heart pounding, the Stealth is not to be missed. Slide down the forty-five foot tall vertical sides of the ride, up and back down again. Jump aboard a tube and fly into the Eye of the Hurricane, the huge bowl slide. There’s a whole host of other exciting, adrenaline packed rides as well as smaller slides for smaller riders. Children will love the phenomenal play areas. Of course the park also boasts a wave pool and lazy river as well as a concession.